How to use technology to streamline Magnet® documentation submission. Cloud technology helps to streamline the Magnet document submission process. 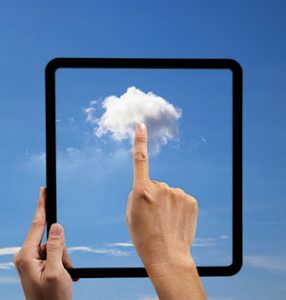 Cloud technology allows for transparent, collaborative document and data sharing. Pennsylvania Hospital–Penn Medicine, the nation’s first hospital, is part of the Penn Medicine Health System, which is composed of five acute care hospitals, all of which are Magnet® recognized. December 2015 was a historic milestone for Pennsylvania Hospital when it became the fifth hospital in the system to earn American Nurses Credentialing Center (ANCC) Magnet recognition. This prestigious designation was a result of a nurse-led multiyear strategic plan and journey to elevate the culture of nursing practice and patient care. A key component of Pennsylvania Hospital’s Magnet journey was a transparent, defined structure and process. The chief nursing officer (CNO) developed the mantra “Keep the main thing the main thing,” which meant keeping high-quality patient care at the forefront of every initiative across the organization. By keeping the main thing the main thing, clinical nurses and nurse leaders aligned themselves with a consistent process, shared a unified vision, and evolved into Magnet-recognized nurses. On June 1, 2014, Pennsylvania Hospital submitted a letter of intent notifying the ANCC of the plan to submit a formal Magnet application by June 1, 2015. At that time, document writing had not started, but the foundational work, including research, evidence-based practice, and quality-improvement projects to be included in the Magnet document were completed or near completion. Additionally, because the CNO valued elevating nursing professional practice as a vehicle to improve patient care and attain Magnet recognition, she restructured nursing leadership to include a department of nursing professional practice, with three master’s-prepared nurses reporting to the director of nursing professional practice, Magnet, and patient and guest relations (called the Magnet program director [MPD]). Together, they collaborated with nursing leadership, hospital leadership, clinical nurses, and interprofessional staff throughout the organization to ensure adherence to Magnet standards. of nursing professional practice. Team members committed volunteer time outside of their daily work responsibilities to write the Pennsylvania Hospital Magnet document. Because the writing team consisted of nurses from different areas throughout the organization, they needed a platform that all members could access to share and edit documents without overloading email servers, email inboxes, and hospital shared drives. The MPD turned to the cloud. While cloud computing may seem complex, it’s really just another way to store and share information. Rather than documents, folders, hard drives, and servers that physically exist in the healthcare organization, all information is stored and accessed on the Internet—in the cloud. In addition to saving physical space and the cost of maintenance, the cloud allows multiple users to retrieve and edit the same documents from multiple devices. Cloud technology is over 10 years old, and it’s becoming mainstream. Common examples include iCloud photo sharing and Google Docs. These are well-known cloud platforms, but others can be used specifically by healthcare organizations, including hospitals submitting Magnet documentation. • other functionalities, including color coding, Gantt chart development, goal tracking, task assignment, and direct messaging. Smartsheet® met all of these criteria and the information technology department approved its use, as long as no patient data were shared in the cloud. Because all of the information required for the Magnet document is unidentified, this wasn’t a problem. All patient information was removed before uploading to the cloud. Using the Smartsheet cloud platform allowed us to write and submit the document in April 2015, 2 months ahead of schedule. Because of our success with this platform, it’s been adopted throughout the organization for both nursing and interprofessional project-management initiatives, such as planning the Magnet site visit and facilities management. Magnet document writing can be complex. Through collaboration and the use of the right technology to meet our needs, we streamlined the process and kept the main thing the main thing, providing structure and transparency for everyone who worked so hard to achieve this recognition. Both authors work at the Pennsylvania Hospital–Penn Medicine in Philadelphia. Jessie Reich is a professional practice consultant, and Courtney Maloney is director of nursing professional practice, Magnet, and patient and guest relations.